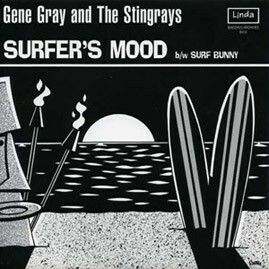 This is classic and original Southern California surf music circa 1963. This is the only non East-LA record ever released on the East LA label, Linda Records which was a part of the Faro and Rampart label family that released Cannibal and the Headhunters, The Premiers and many other Chicano rock bands in the '60s. Not much is known about the band...and original copies of this disc are pretty much impossible to find these days. Bacchus Archives licensed these tracks at the same time as the East Side Sound CD was released. Artist SHAG drew both sides of this tremendously cool picture sleeve.